Trying to decipher food labels can be difficult. All of the different ingredients, badges, and recommended daily amounts can make your head spin! 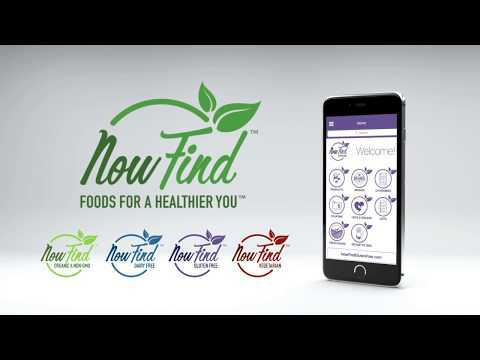 To help you and your family take the guesswork out of grocery shopping; our app, Now Find Dairy Free available on both iOS and Android, does all the hard work for you. With our 17 dietary filters (and more to come!) and database of tens of thousands of products, we make it easy to find the foods that are just right for you at your local grocery store or online. Hopefully you always have your Now Find Dairy Free App with you, but we know that isn’t always the case. Below is an explanation on how to decipher labels to make sure the products you buy are right for you! The Ingredients List is possibly the most important part of the food label for those with allergies and those avoiding certain food items. It is here that the Big 8 Allergens recognized by the FDA are called out. The items in the ingredient list are in order of weight in a food product. The heaviest (or most prominent) ingredient is listed first with all of the other ingredients following in descending order of prominence/weight. However, there still may be trace amounts of other ingredients in the product as well. According to the FDA “If an Ingredient is present at an incidental level and has no functional or technical effect in the finished product, then it need not be declared on the label. An incidental additive is usually present because it is an ingredient of another ingredient.” Major Food Allergies, however, always have to be called out no matter how incidental the ingredient is. We have made a list of common ingredients that contain Dairy found here that you can bookmark for future reference. 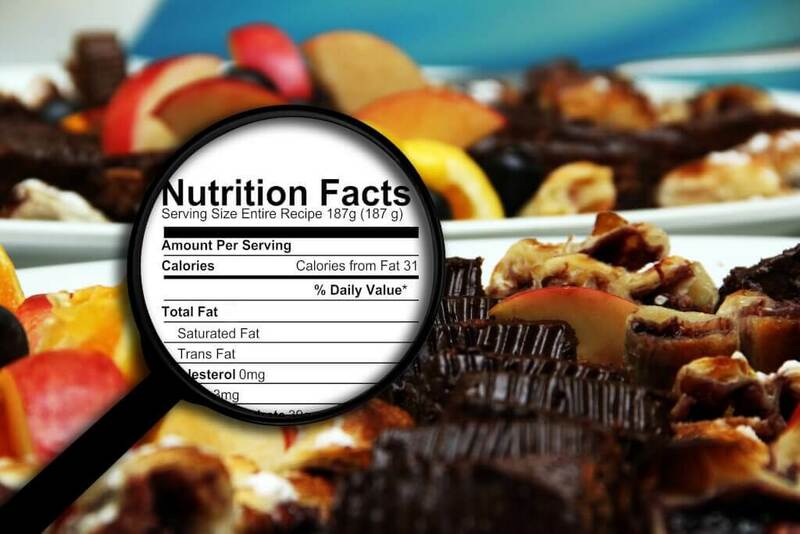 The first line on every Nutrition Fact Label is the recommended serving size. This is standardized to make it easy to compare to similar types of foods, so you can actually compare apples to apples. 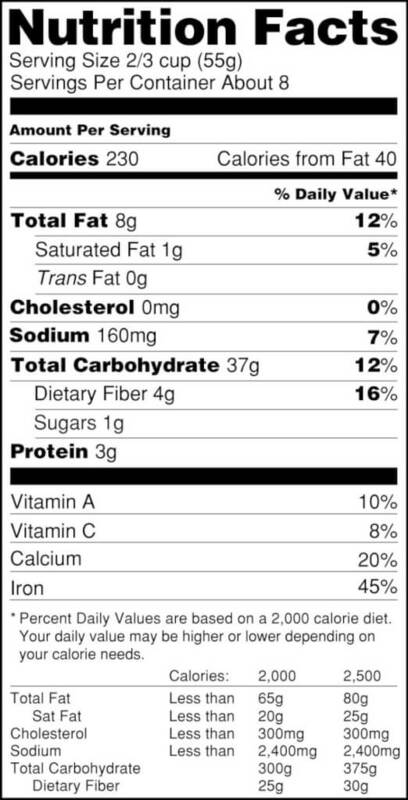 The serving size is used to calculate the Daily Value Percentage of all of the other nutritional information below. Right below Serving Size is the Servin gs per Container. This is the recommended number of servings that are contained in a package. Beneath that is the Calories and Calories from Fat per serving. This is also important since many Americans often exceed their daily recommended 2,000 calorie intake. The next section is the different nutrients that are in a single serving of the food product. 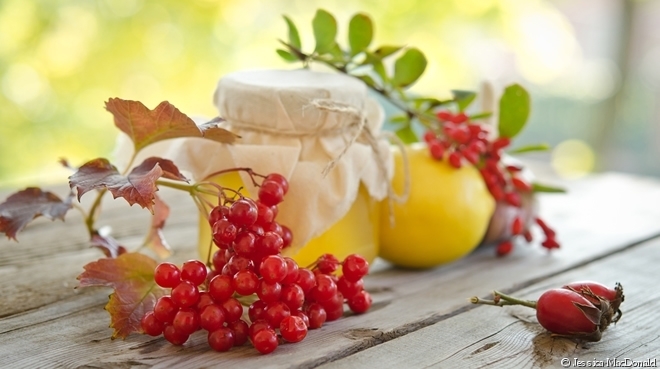 The first few lines are dedicated to nutrients that Americans tend to have too much of. This includes Total Fat (Saturated fat and Trans fat), Cholesterol, Sodium, and others depending on the product. The next section contains nutrients that Americans tend to not get enough of. This includes Dietary Fiber, Vitamin A, Vitamin C, Calcium, Iron, and other nutrients. All of these line items have a Daily Value Percentage next to them. As stated before, these percentages are based on the 2,000 calorie diet recommended by the FDA. Use the Daily Value Percentage to determine if a food has the correct amount of nutrients for your balanced diet. In addition to the Nutrition Facts and Ingredients, many food manufacturers are putting badges for allergies and diets on their packaging. Unfortunately, no manufacturer can possibly put all of the different badges on their product’s packaging. Certifications are expensive, time-consuming, and some diets (such as Gluten Free) have a bad (sometimes unfair) reputation for products that don’t taste so great. A great example is “100% Pure Maple Syrup.” In pure maple syrup, there is only one ingredient; Maple Syrup. In the eyes of the manufacturer, it does not make sense to put all sorts of badges on their packaging since there is only one ingredient. But how are you supposed to know if its OK for you? That’s where Now Find Dairy Free comes in! We list more information about ingredients and diets than any other app, and more than the food’s packaging as well. Below are a few of the more common badges you may find at your local stores. There are too many to list here, but if you start to look closely at packaging you will find them everywhere! Gluten Free– The FDA defines gluten free as any product that tests under 20 parts per million for gluten. There are a few third party certification agencies such as the Gluten Free Certification Organization and the Gluten Intolerance Group, but there are also many more manufacturers that claim Gluten Free without the certification because they know for a fact that their products are Gluten Free, like the Maple Syrup Example above. 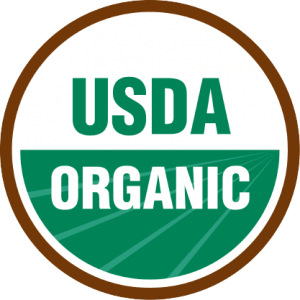 Organic– The US Department of Agriculture has developed a certification for all Organic products in the United States. If it has this badge on it, then it’s definitely organic! Vegan– There are many different Vegan badges, this one is from Vegan.org. 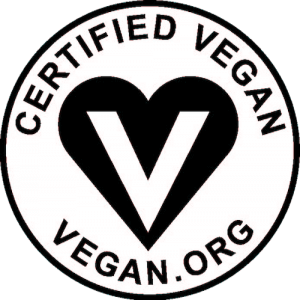 They state that the products with this badge have no animal products in the ingredients and it has also not been tested on animals. 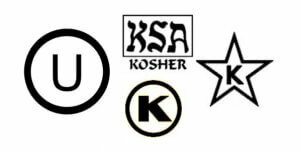 Kosher– There are many companies in different areas of the country that certify if a food product is Kosher, so there are quite a few more labels than just these. 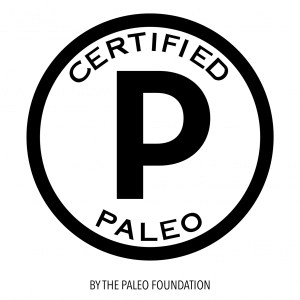 Paleo– There are a few different Paleo Diet Certification Badges, this one is from the Paleo Foundation that certifies that a food product can be eaten by those following a Paleo diet.